Projecting Movies At Home Is Amazing! When I reviewed the marvelous Lee Marvin: Point Blank earlier this summer, I was especially charmed by the stories told about him by his first wife, Betty Marvin. She was the most important voice in the book, providing a clear-eyed, affectionately exasperated account of a man who had given her quite a ride. Marvin had every right to be bitter, and she was, but she was also appreciative of the good aspects of their time together. I thought she was remarkably generous to her ex and I loved the way she expressed herself. She was tart, but loving. You don't often see one source providing so much more information in a biography, but I could understand why Epstein chose to favor her voice. No one could tell the story better than her. That's why I leapt in joy (literally, but my laptop is okay now) when I learned that Betty had written her autobiography. I figured a whole book written by this fascinating woman had to be pretty good, whether or not she had writing chops. It ended up surpassing my expectations. Lee Marvin was an important part of Betty Marvin's life, but contrary to the title, there was a lot more to her life than being arm candy for a movie star. Betty Marvin was born in Sedro-Wooly, Washington, abandoned by her parents (who also split) and raised by her grandparents. Her childhood was lonely, though the love of a doting aunt boosted her spirits. Her father had drifted down to Los Angeles, where he led a turbulent, though luxurious life as a used car salesman and gambler. He lived it up with his bleached blonde wife, often scrambling to pay his debts. When Betty hit her teens, he promised to pay her tuition at UCLA. He was a bit surprised when she actually took him up on the offer, especially because she had graduated from high school at age sixteen, but he kept his word. This started young Betty on a series of adventures worthy of a movie, though they probably wouldn't be convincing as fiction. It's a good thing she had a photo to go with most of her stories, because some of them are crazy. Long before she met Lee Marvin, this determined young woman found herself having Thanksgiving with Bogie and Bacall (the latter being her roommate's cousin) and serving for a brief, bizarre period as nanny to Joan Crawford's four adopted children while she studied to be a vocalist. After their marriage had ended, she lived a free and perilous life which led her to beocming close buddies with Tab Hunter and cooking for Julia Child in her own kitchen. The woman could drum up plenty of action on her own, without a famous spouse. That said, stories of the marriage, and their four children are the emotional heart of the story. In the early days, as is often the case, they were a loving, happy couple. Betty describes these years well; you can understand why she gave up her growing career for this struggling, but seductive actor. She gave birth to their son and three daughters, who only attracted the passing interest of their father, though he eventually built a shaky relationship with them. Marvin loved his wife, but as he became more addicted to alcohol, his behavior became erratic, abusive and often downright puzzling. Marvin doesn't offer an explanation for her self-destructive husband's behavior, though she does acknowledge that his World War II experiences in the Marines and his parent's bitterly dysfunctional relationship had something to do with it. He treats his ex and children shabbily, and she acknowledges her bewilderment over his abandonment, but she also seems to understand she could not have gone on with him. After her marriage to Lee, Betty makes a few poor financial decisions, takes risks, and eventually ends up homeless for a brief period. I kept wondering why she didn't find work as a secretary and get a roof over her head. She seemed so sharp, a survivor. It took me a while to understand that Marvin craved an adventurous, rich life. Betty didn't wish to be homeless in her sixties, but she seemed able to live with the consequences of her actions. She became an artist, maintained a series of fascinating friendships and stayed as close to her kids as she could given the tensions in the family. Though there are plenty of times Marvin feels sorry for herself, and for good reason, I love that she never gives in to self-pity. I think that's why the book works so well; she keeps the story moving forward, allowing time for reflection, but staying focused on the present. It's an interesting read, as good as if not better than any celebrity tell-all. I may need to read it again to soak up all the details. 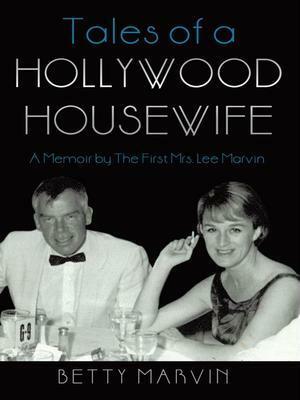 You can buy Tales of a Hollywood Housewife: A Memoir by the First Mrs. Lee Marvin here. If you want to take a peek, extensive portions of the book are posted here. 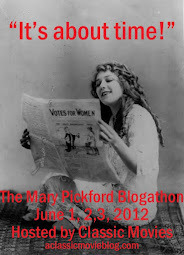 If you're curious to learn more about Betty Marvin, check out her website. She's posted several photos of her artwork and other projects.